Mind 2 Body™ is not just another studio. Originally established in 2002, our teachers are recognized for helping clients get the finest results using Classical Pilates and GYROTONIC® exercise methods. From therapeutic conditioning to athletic training, our teachers customize exercises for each client based on their individual experience level, physical condition and personal goals. Our instructors bring outstanding knowledge of the body and exceptional teaching skills. They’re experienced motivators and graduates of the most stringent training programs in the world, as well as experts in a variety of related disciplines. Sessions are ideal for athletes, dancers, seniors, individuals seeking to improve overall fitness and individuals overcoming knee surgery and other joint issues - even children. Because training styles and session preferences are unique, Mind 2 Body™ focuses on personalizing training needs and wellness goals. We aim to pair our clients with trainers that are specifically suited for them to optimize time and amplify results. Our welcoming Mind 2 Body™ Studio in Studio City, California offers a unique opportunity to experience the full breadth and depth of the Pilates Method of Body Conditioning and the GYROTONIC EXPANSION SYSTEM®. Lani Pelino is the owner and founder of Mind 2 Body™ studio. A Michigan native, Lani earned a Bachelor of Fine Arts degree from Ohio University in 1998. While a member of the university dance department, she discovered her passion for the Pilates Method of Body Conditioning. After graduation, Lani continued her Pilates training at The Atlanta Ballet, where she studied, apprenticed and taught. Aligning herself with current best practices, she received comprehensive training in three specific areas: The Pilates Method of Body Conditioning, Power Pilates and The Pilates Method Alliance. It was here that she had the opportunity to immerse herself in the Classical Pilates methodology under the guidance of Romana Kryzanowska, a direct pupil of Joseph Pilates. A lifelong learner, Lani went on to study the GYROTONIC® and GYROKINESIS® exercise methods as a way to further expand her professional skill set. She was certified as an instructor by Juliu Horvath, founder and creator of the GYROTONIC EXPANSION SYSTEM®. In addition, Lani is an authorized Pre Trainer in both the GYROTONIC® and GYROKINESIS® exercise methods and certified on all of the apparatuses: Leg Extension Unit, Jumping Stretching Board, Archway, and the GYROTONER®. Lani completed City Yoga's Teacher Training program, where she’s registered through Yoga Alliance at the 200 hour level. In addition to body conditioning techniques, she studies aromatherapy and energy work, using essential oils as means to support rehabilitation, the healing of emotions and general health. She similarly incorporates elements of visual imaging into her sessions. Above all, Lani is dedicated to the idea that exercise is more than physical exertion; it’s a way of life. It’s this decidedly fresh and holistic approach to mind and body health that’s helped her take clients to new levels of physical fitness and personal satisfaction for years. Bruno Artero is a French American teacher based in Los Angeles, California. He has over 15 years of practice and teaching experience in GYROTONIC® GYROKINESIS®, and Pilates. Bruno is certified in GYROTONIC® and GYROKINESIS®, he is also certified on the Jumping Stretching Board and the GYROTONER®, and has received specialized training for the shoulder, hip and psoas therapeutic applications. Bruno is certified in Pilates on all the apparatus, a comprehensive training, certified by Balanced Body University. Bruno is also a Sophrology practitioner. Sophrology is an advanced modality of relaxation and mindfulness that helps you connect with your resilience which improves your mental and physical health. Sophrology has been utilized in Europe by high-flying professionals, sports teams and students to encourage them to change the way in which they approach demanding situations, in order to improve their chances of success. It is also for all individuals who wish to achieve greater levels of contentment and happiness through better management of stress, phobias, physical, or emotional pain and anxiety. Bruno originally grew up in France, where he was always involved in sports, particularly in Rugby and Judo. His interest in GYROTONIC® and Pilates began fifteen years ago. Discovering a new approach to movement and its multiple benefits for all populations is what made him decide to become a GYROTONIC® and Pilates teacher. In 2004, he co-founded the Marla Bingham Studio, a successful GYROTONIC® and Pilates studio based in San Diego, California before establishing his teaching practice in Los Angeles. Bruno’s clients range from the ages of 15 to 85 and include athletes, busy professionals, week-end warriors and seniors. By teaching either GYROTONIC®, Pilates or Sophrology, Bruno looks forward to helping each client achieve their fitness and wellness goals, while experiencing the joy of movement thus feeling energized while improving their physical and mental wellness! A dancer from the age of three, Jill Denison has had a lifelong connection to movement and healing modalities. She was first introduced to the GYROTONIC® Expansion System in 1999 while studying at the State University of New York-Conservatory of Dance at Purchase College and quickly dedicated herself to the discipline. Since that initial positive experience, Jill has become a Specialized Master Trainer in GYROTONIC®, and GYROKINESIS®, a GYROKINESIS® Level 2 Master Trainer, as well as a Master Trainer on the GYROTONER® apparatus. Her expertise focuses on a variety of advanced specializations, including therapeutic applications for the pelvis and scoliosis, and the “dancer’s application.” She also regularly studies with GYROTONIC® founder Juliu Horvath. In addition to teaching trainings at Mind 2 Body™ studio, Jill teaches educational courses on all facets of the GYROTONIC® system with the hope of imparting the love of movement to all her students. She holds a Bachelor of Arts in Dance from the University of Wyoming. A certiﬁed Pilates instructor for over 30 years, Niedra Gabriel trained directly under Romana Kryzanowska, a protégé of Joseph Pilates, while completing her Pilates Certiﬁcation at the New York Pilates Studio. In addition to Pilates, Niedra’s breadth of expertise also extends to yoga, dance, choreography, and Circus / Aerial Arts training, which she ﬁrst learned as a hobby and has recently begun teaching and performing. Niedra is committed to ﬁtness education in both the U.S. and abroad. In addition to her role as a Master Trainer at Mind 2 Body™ Studio in Studio City, she also frequently teaches segments of the comprehensive training as a guest teacher in other studios in California and internationally. Niedra holds master classes and workshops throughout Europe, and is currently establishing the Mind 2 Body™ Pilates teacher training program in the Caribbean Island of St. Lucia. She regularly leads classes and retreats on physical and personal growth and lifestyle, taking a comprehensive approach that includes an exploration of nutrition and wellness. Originally from Phoenix, Arizona, Casey Gonzalez moved to Los Angeles to continue pursuing a career in professional dance. As a classically trained dancer who’s studied ballet, jazz and modern dance since she was three years old, she uses her unique perspective and keen sense of balance to help clients achieve their fitness goals. A homegrown expert, Casey began practicing Pilates in college and subsequently completed the Mind 2 Body™ teacher training certification program at our home studio and is a certified instructor. 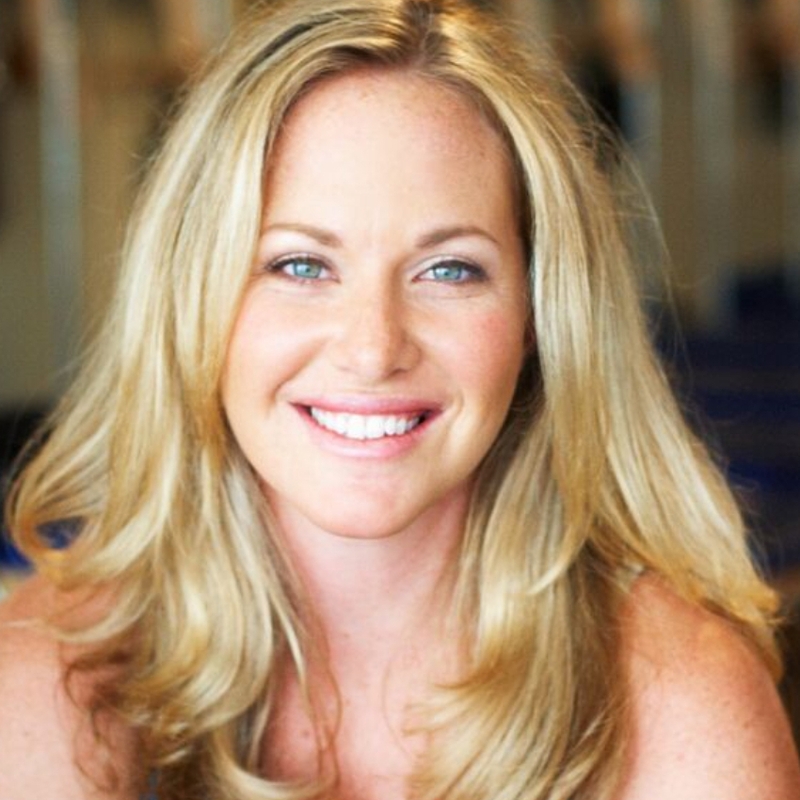 Additionally, Casey is a certified GYROTONIC® and GYROKINESIS® instructor. As part of her training, Casey obtained a certificate in dance through the Alvin Ailey American Dance Theater in New York City. She’s since has gone on to perform, teach and judge professionally within the United States and Canada. Casey earned a Bachelors of Science in Healthy Lifestyles and Coaching from Arizona State University. Bringing a positive and compassionate approach to her sessions, Elese Orrell is a classically trained Pilates instructor who believes that everyone can benefit from the discipline. A graduate of the Whole Body Pilates Method and the Mind 2 Body™ Classical Pilates training program, Elese began studying Pilates to help others gain a better awareness of their bodies, improve strength, balance, and movement, and prevent injury. She decided to focus on the Classical Pilates methodology because of its unique emphasis on the mind-body connection. When she’s not helping clients, you can find Elese pursuing her other two passions: dance and the creative arts. Over the past few years, she’s gained experience performing as an aerial dancer in a variety of shows and competitions. A graphic designer by trade, she’s also heavily involved in projects related to film, theatre, music and event production. Elese earned a Bachelor of Arts in Visual Communications from the Brooks Institute of Photography. Originally hailing from Naples, Florida, Jamie Thomas studied Environmental Science and Policy at the University of Southern Florida before making her way to the west coast. A natural born athlete, Jamie’s love for sports influenced her to study Pilates and complete the Mind 2 Body™ teacher certification program, as well as becoming a certified GYROKINESIS® teacher and a GYROTONIC® instructor. Beyond that, Jamie is a Mind 2 Body™ certified Pre-Trainer, which qualifies her to teach Pilates apprentices and teachers alike. When skies are clear, you’re sure to find Jamie riding her bike across town, hiking or getting together with friends to play a game of softball or soccer. Eric was first introduced to the Pilates Method of Body Conditioning as a means of rehab for a knee injury. Since then, Pilates has become vital in keeping Eric injury-free in athletic endeavors. He was certified through Power Pilates as both an instructor and a Master Trainer. In addition to Pilates, Eric is a competitive runner and cyclist. Marcelin is a “born-and-raised” California girl, originally from the San Joaquin Valley. She has been dancing since age 2, and received her B.A. in Dance from the University of California, Santa Barbara. Marcelin is a certified pilates instructor and is a certified GYROTONIC® and GYROKINESIS®instructor. Marcelin is also a Pre-Trainer for GYROTONIC®. Additionally, she is certified on the Archway, Leg Extension Unit, and GYROTONER®. She is a practitioner of numerous modalities of fitness, but Marcelin truly believes in all that the GYROTONIC EXPANSION SYSTEM® has to offer in terms of mind, body and soul. The Berklee College of Music 2007. He is a former tennis coach as well as a recording artist. He isa certified GYROTONIC® and GYROKINESIS® instructor. He is also certified on the GYROTONER®,Leg Extension Unit, and Jumping Stretching Board. In addition, he has completed the GYROTONIC® Level 2, Program 1 and Program II courses as well as educational workshops for scoliosis, tennis and elite athletes. Also, he is a classically certified pilates instructor and completed his training via Mind 2 Body Studio. He sought additional training and certifications in Dynamic Neuromuscular Stabilization and is a licensed massage therapist and a certified exercise trainer. Evan believes that the reality we experience within our bodies plays a large factor in our perceived quality of life. No matter your current perception, physical and health improvements make our lives better. Evan’s mission is to help clients reach their functional physical potential, educate, and inspire them while providing an enjoyably safe environment in which to do so. With an array of life experience in sport and performance, certifications in GYROTONIC®, Classical Pilates, DNS, and a license in Massage Therapy, he can customize a fully integrative body / mind program to help tailor your specific goals. Simply, he will meet you wherever you are and take you wherever you want to go. In all their shapes and sizes, each person has their very own unique body, an amazing and useful tool that is too easily taken for granted. Long fascinated by the human body, Mystral has spent her life studying it and how to help her clients tap into their bodies to become more aware of the messages it has to tell. During a year off from college, she attended the Costa Rica School of Massage Therapy and became a Licensed Massage Therapist in 2008, and maintained a private practice in Boston, MA until she graduated from Boston University in Marine Science. Now in her Massage Practice, she not only incorporates Reiki but also specializes in Neuromuscular Therapy (NMT), an advanced medical massage modality focused on pain management. 5 years ago, Mystral discovered and immediately became fascinated by the Gyrotonic Expansion System®,and finally became a Gyrotonic® Instructor herself in 2015. The Gyrotonic Method® provided an intricate understanding of movement to her bodywork practice. In 2017, after some health challenges, Mystral started practicing Pilates here at Mind 2 Body, and its focus on seriously developing strength, especially core strength, helped to reduce her chronic pain. In the summer of 2018, Mystral studied under both Lani and Niedra to become a Pilates Apprentice. She has always believed in a holistic and multidimensional approach to health and wellness, working with clients to find out how best to help clients understand their own bodies. Karen is a dynamic Canadian born dancer, actor, teacher and writer. She trained professionally in ballet with the Royal Winnipeg Ballet Professional Division, and continues to follow her curiosity in studying other artistic modalities including Lecoq clown, improv, stand up, Alexander Technique and more. Karen has performed internationally with PHISH at Madison Square Garden; in Das Rheingold for the World Premiere of the Canadian Opera Company’s production of the Wagner Ring Cycle; the Canada Winter Games and Cinema New York Film Festival. She is certified in Usui Reiki (Level III) and is a U.S. Member of the International Dance Council CID, recognized by UNESCO. Karen was introduced to the GYROTONIC EXPANSION SYSTEM® while recovering from a neck injury. One of the things Karen loves most about the GYROTONIC® Method is how well it aligns with the body’s natural intelligence and connection to flow. Karen is excited to be a member of the Mind 2 Body team and looks forward to facilitating more freedom of movement and ease for Mind 2 Body clients.